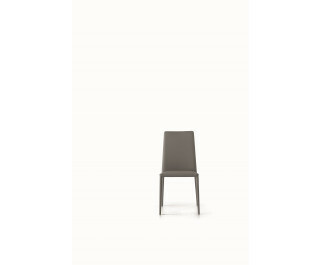 A delicate and elegant chair which is suitable for every setting and style. The Eral chair has a steel frame and crush-proof rubber. It is available either fully upholstered in eco-leather or leather or with painted steel legs.